You've probably heard about 3-season and 4-season tents. The name suggests that a 3-season tent cannot be used in the winter, and a 4-season tent can be used any time of the year. Although this is somewhat true, there is a lot more to it. For starters, can you use a 3-season tent in the winter? You can, but you probably shouldn’t. A 3-season tent has some important differences compared to a 4-season tent. Although a 3-season tent does provide shelter from the wind and rain (or snow), it lacks certain features that make it less suitable from a safety point of view. First, 3-season tents are designed to be lightweight. As such, they often use very light materials for their poles, and design them in such a way as to minimize the total amount needed. In doing so, they reduce the overall weight load the tent can withhold from above. In the summer, this is not an issue because rain falls right off the tent, but in the winter snow can pile up and add a lot of weight to the top of a tent (snow weighs a lot more than you would think!) During a long night of wet heavy snowfall, enough weight can accumulate to potentially crush some tents. 4-season tents on the other hand are designed to be strong and maintain much heavier loads, both from snow on the top, and from wind on the side. They are made with one or two layer walls, and can withstand extremes in terms of weather. 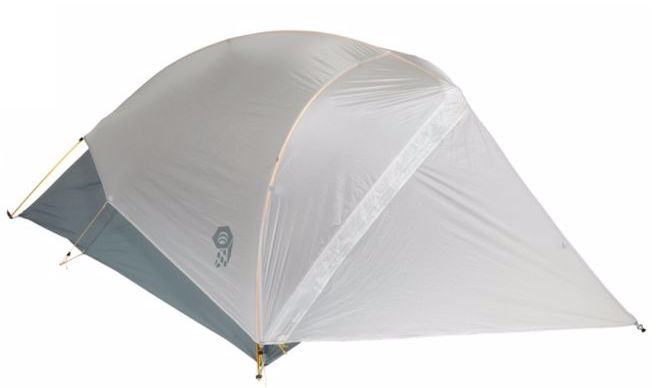 These tents are often heavier than 3-season tents, much bulkier, and of course, much heavier. They are also not as efficient when it comes to ventilation. For most people, the answer is a 3-season tent. With a trap set up overtop, a 3-season tent can handle virtually anything except the nastiest of storms. 3-season tents are lighter, less expensive, and often more comfortable, especially in the winter. If you do plan on doing some camping in the winter, just be sure to cover the tent so that snow buildup is not an issue, and pack some very warm gear to stay cozy inside. 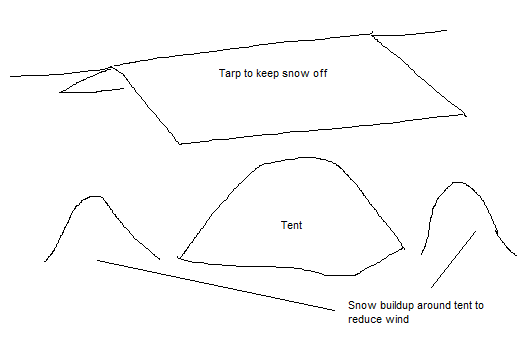 You can also build a barrier around the tent out of snow to keep wind at a minimum. If you plan on doing regular winter camping, or enjoy mountain climbing treks, then an investment in a winter tent is probably the way to go. These are not as comfortable in the summer, but I would rather be a little but uncomfortable in the summer then freezing cold in the winter. Newer PostHow do I build a snow quinzee? Older PostWhat are some good winter camping games?